As the HR Coordinator, you will be part of a HR team covering the Nordic countries Sweden, Denmark, Norway and Finland. Together you will support managers and staff in the commercial and operational departments. The HR Coordinator will be working with the full administrational spectrum of HR functions with a key focus on reviewing and administrating candidates for recruitment, HR policies and implementation, performance management, learning and development as well as getting involved in exciting HR projects. You will support both managers and staff as well as being responsible to submit requested data to our regional head office and internationally. To be successful in this role, you need to have a relevant educational qualification, a minimum of two years' HR job-related experience as well as previous exposure to HR procedures and guidelines. You must be able to work under pressure to defined tight timescales with an ability to adapt to changing needs and requirements as well as mastering the MS Office systems. You shall be fluent in English and minimum one Scandinavian language (Swedish, Danish or Norwegian) both verbally and written. To fit into the current Nordic HR Team, you need to enjoy working in a fast-paced and changing environment. You also enjoy developing smart and structured ways of working, planning and organizing both files and procedures. You must have a genuine interest to find solutions and a good way of dealing with pressure and deadlines. Previous experience from working within an international organization is preferred, but not essential. However, you must have strong interpersonal skills, a positive attitude and a passion for people and HR. 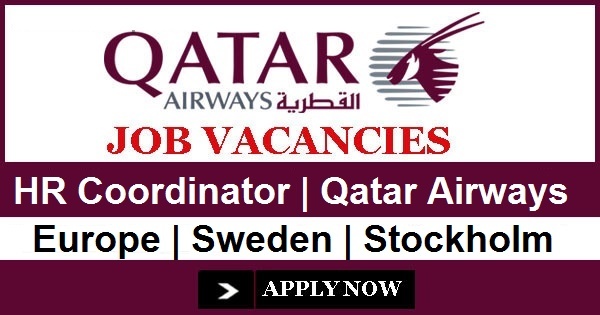 You must be eligible to live and work in Sweden to be considered for this role.